Please note: This program ended during the 2011-12 academic year. The CFT now offers the SoTL Scholars Program. Each fall, up to eight TAR Fellows are selected to conduct projects exploring aspects of undergraduate education in their disciplines. Each Fellow works with a faculty mentor, and each project typically focuses on an undergraduate course taught by that mentor. See the projects listed below to get a sense of possible topics for these projects. The Fellows are provided with an orientation to TAR and participate in an ongoing working group that meets weekly during the fall semester and is facilitated by CFT staff. In the working group they receive feedback and support as they design and implement their projects. Fellows also receive “topping up” awards of $3000 each, currently funded through the CIRTL Network. To benefit the learning of undergraduate students through the development and assessment of curricular innovations. Each January the TAR Fellows share their projects with the campus in a poster session hosted by CIRTL-at-Vanderbilt. The poster session typically coincides with a plenary talk given by an outside speaker on some aspect of STEM education. Past speakers include Karl Smith, professor of engineering education at Purdue University, Richard Cyr, professor of biology at Penn State University, and Robert Mathieu, professor of astronomy at the University of Wisconsin-Madison and principal investigator for the CIRTL Network. See this summary of Karl Smith’s 2011 talk. CIRTL is the Center for Integration of Research, Teaching and Learning. It is a network of institutions, led by the University of Wisconsin, with the aim of increasing the preparation of future faculty in teaching. 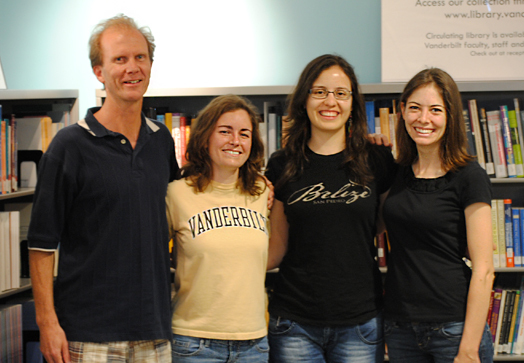 Vanderbilt is one of the CIRTL partners. The VU CIRTL group wishes to offer topping-up awards of $3,000 each for semester-long commitments of teaching assistants, post doctoral fellows or graduate students to engage in a “Teaching as Research” (TAR) project for Fall 2011. A maximum of 5 awards is available. This can be received as additional stipend for US citizens and permanent residents. It must replace other support for international students. CIRTL defines TAR as follows: “Teaching-as-Research involves the deliberate, systematic, and reflective use of research methods to develop and implement teaching practices that advance the learning experiences and outcomes of students and teachers.” Examples may be found further down on this page. Other examples are provided on the VaNTH website. Name of teaching assistant or other graduate student for whom support is sought. Course that project will benefit. Brief description of project (no more than one page). This should emphasize the instructional innovations that will be developed and the assessment of effectiveness. Students in STEM fields pursuing the Center for Teaching’s Teaching Certificate program are encouraged to apply for this support. TAR Fellows can receive Teaching Certificate credit for their CIRTL-sponsored projects. Contact the CFT for more information. Must attend a teaching workshop at the beginning of the fall semester. The workshop will include an orientation to teaching-as-research. 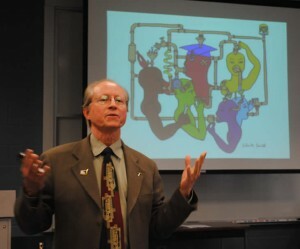 Should sign up for one of the following on-line CIRTL courses: The College Classroom, taught by Robin Greenler, University of Wisconsin-Madison, or Inquiry-based and Problem-Based Learning in the College Classroom, taught by Bruce Herbert, Texas A&M University. For more information, see CIRTL’s online course page. Contact Jean Alley (jean.alley@vanderbilt.edu) for information regarding these courses and procedures for registration. Meet weekly during the fall semester in a working group facilitated by Center for Teaching staff. The working group will provide fellows with feedback and support as they design and implement their projects. Faculty mentors are listed in italics. Click on the project titles for associated materials. Faculty mentors are listed in italics. Click on the project titles for associated posters. 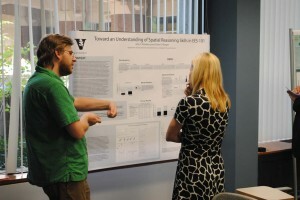 Posters for projects without IRB approval are available only to those affiliated with Vanderbilt. Faculty mentors are listed in italics. Click on the project titles for associated posters. Posters for projects without IRB approval are available only to those affiliated with Vanderbilt. Conference presentations and publications related to projects are listed below those projects. Wellons, J., & Johnson, J. (2010). Planning and the novice programmer: How grounded theory research can lead to better interventions. Presented at the 2010 International Multi-Conference on Engineering and Technological Innovation. Claiborne, L. L., & Miller, C. F. (2012). Teaching radioactive decay and radiometric dating: An analog activity based on hydrostatics. Journal of Geoscience Education, 60(2), 114-122. View more presentations from Derek Bruff. See also the “ingredients” handout referenced in the slides.